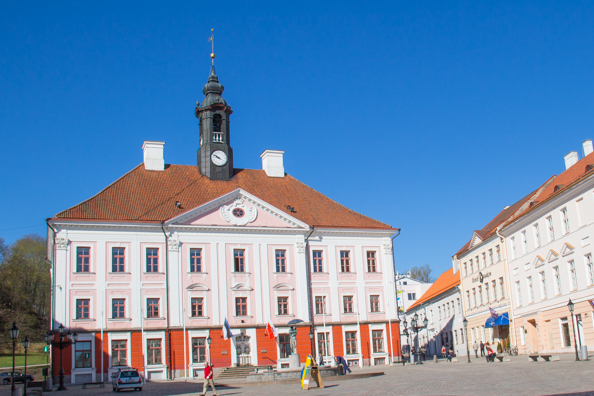 The University is the very heart of the town of Tartu in Estonia. A fact celebrated by a statue of kissing students on the fountain in its main square, in front of the Town Hall. The Town Hall Square is the centre of the town and its municipal government. The present town hall, the third on the same site, was built during the period of early Classicism which is reflected in its style. 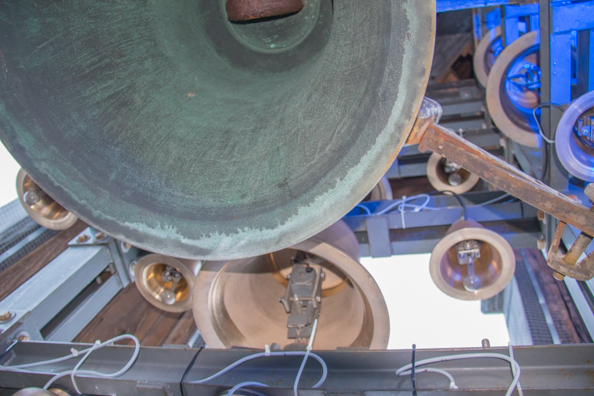 This building is famous for its chime and the thirty-four bells perform three times a day. A popular tourist attraction, this performance that lasts around fifteen minutes. The University has survived wars and foreign occupations since it was established by the King of Sweden as Academia Gustaviana in 1632. In 1989 it became University of the Republic of Estonia. Since then it has become one of the top universities in the world. It owns many buildings in the town but the older buildings are the most interesting. The Main Building is the most important and the most attractive. Built at the beginning of the nineteenth century it is one of the best examples of neo-classical architecture in Estonia. Its Assembly Hall, the most elegant room in the University and the venue for all the most important events of the University. The Main Building also houses the University of Tartu Art Museum which has occupied the same rooms in the left wing since 1868. 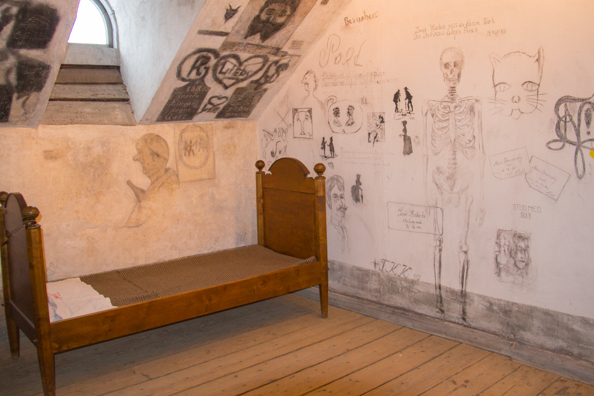 The most interesting room is the lock-up in the attic. This was where students who had transgressed were ‘locked up’ for between one and twenty-one days depending on the seriousness of their offence. In reality the students were not actually locked up but were subject to a curfew as they still had to attend lectures. Four of the original five lock-ups were destroyed in the Great Fire of 1775 which devastated the town centre. The remaining lock-up has been refurbished. A path lined with benches climbs up to Toome Hill above the town. In the past the University Library was at the top of this hill. The benches were placed there to allow weary professors to rest while carrying their heavy books up and down the path. 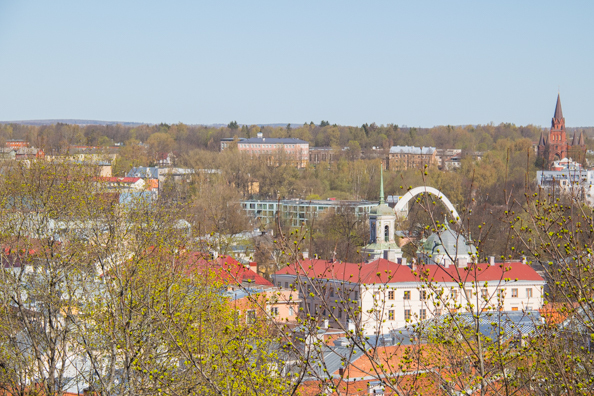 Toome Hill and the buildings that grazed its summit were given to the University by Peter the Great when he captured Tartu for the Russians. These included old cathedral which once housed the library. 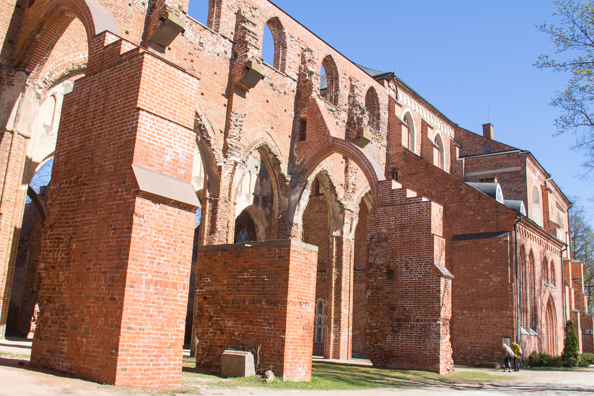 This Catholic cathedral took over three hundred years to complete and then, during the Livonian War it was neglected and fell into disrepair. 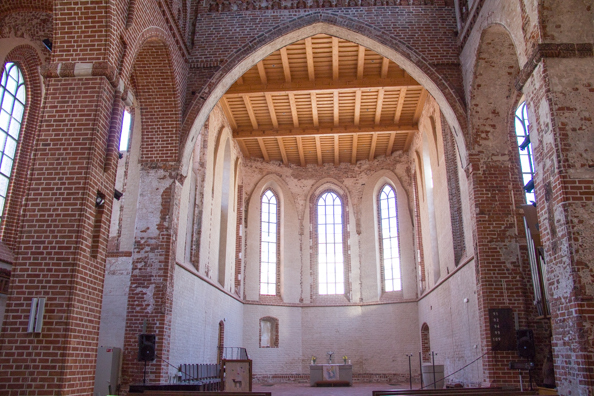 This splendid Gothic building was briefly re-opened during the seventeenth century and then lay dormant until the University of Tartu Library moved in. When the library moved out in 1981 the University of Tartu History Museum moved in. 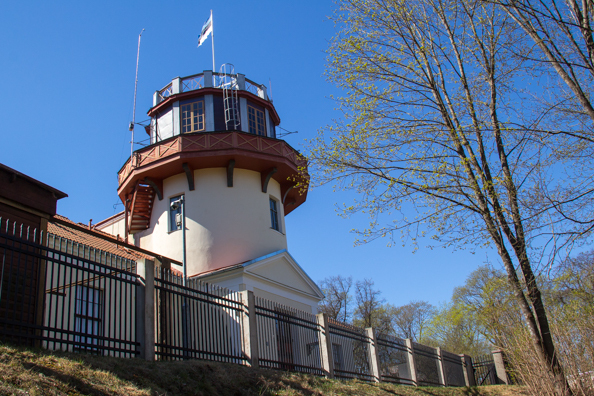 Also on the hilltop is the Old Observatory built until 1810 when the young, talented Friedrich Georg Wilhelm Struve worked there. Struve was the first person to calculate the exact distance of a star from the earth and created the Struve Geodetic Arc. The arc was of great importance to the development of geodesy and cartography and was added to the list of UNESCO world heritage in 2005. The Old Observatory is now a museum and the large telescope housed there is still in operation and open to visitors. Tartu has long been considered the cultural capital of Estonia. A heritage it derived from the wealth the town accumulated through its membership of the Hanseatic League. Tartu joined the League around 1280 and became an important trading post on the commercial route to Novgorod (Russia). Membership of the League was not only advantage for its trade and economy but also contributed to the development of local culture. Its citizens travelled to Hanseatic towns in other countries and Tartu became an international tourist destination. This was probably the first time that large numbers of people from different cultures had visited this corner of Europe with peaceful purposes. Today visitors are still attracted to Tartu to experience its diverse culture the includes both Estonia’s oldest theatre, the Vanemuine, and its quaintest, the Home of Theatre or Teatri Kodu. 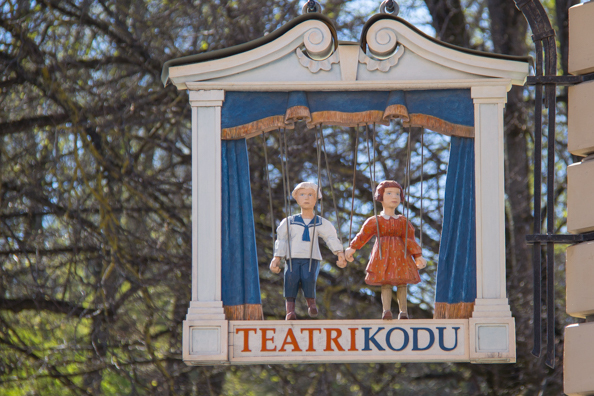 Teatri Kodu is part of the Toy Museum in Tartu. These three attractions are housed in three old wooden buildings in the old town. The theatre stages its own performances as well as offering anyone the chance to use the theatre to stage their own creations and offers theatre-themed workshops for children. A museum of theatre puppets occupies the basement alongside the remains of a medieval residence discovered during an archaeological dig. The Toy Museum itself is delightful and a chance for adults to reminisce and children to play. During the Soviet regime Estonia was famous for its production of home-made toys and in particular dolls. This industry declined with the arrival of mass-produced toys. 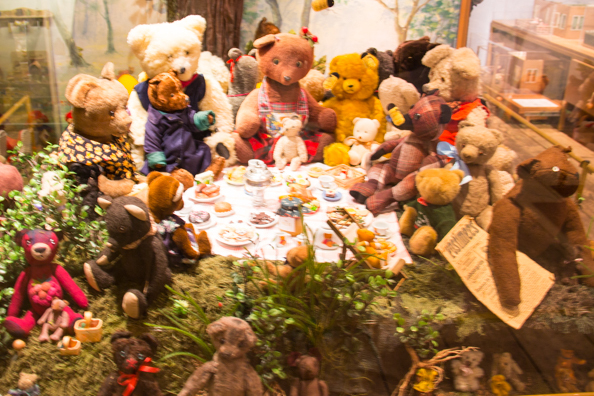 My own favourite in this museum is the teddy bears’ picnic. Near the theatre is an interesting initiative for the development of small businesses using derelict buildings. The Tartu Centre for Creative Industries and the Design House operate as an incubator for new industries to help their founders to become entrepreneurs. It has been going for seven years. The centre is not really for tourists although it does have small shops on site. A second, similar project, is close to the largest district of wooden buildings surrounding Karlova Manor in Tartu. Karlova Manor is one of the original eight manors that made up the feudal town of Tartu and one of the two remaining manors. This second initiative has the same aim but exhibits a very different approach. A large Soviet building, too large for a modern business has been renovated and is now leased to small, artisan workshops and larger, established businesses. This hub of creativity, Aparaaditehas (the Apparatus Factory), includes a Printing and Paper Museum and a café. Close by is one of the most valuable monuments of Gothic architecture in Europe. Both the inside and the outside of the church are adorned with over one thousand terracotta figures. 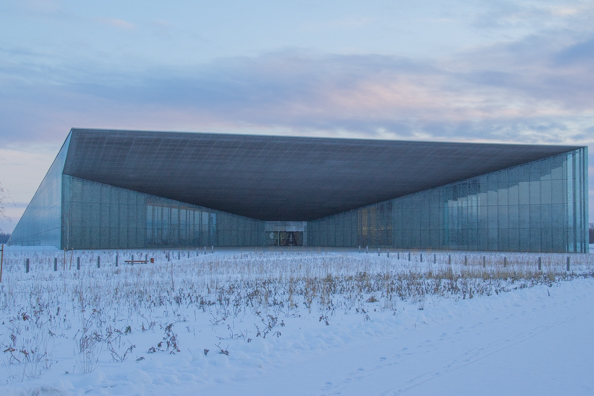 The jewel in Tartu’s crown is the ultra-modern Estonian National Museum opened in Tartu in October 2016, is its latest triumph. The main hall traces the history and traditions of the Estonian people. This museum has been a work in progress for over one hundred years and has brought together many individual collections relating to the history of the country. Its home, in the middle of an old airfield looks more like a hangar for space-ships than a museum. Airfield Raadi (also known as Tartu Air Base) began operations in 1912 and after the Second World War it became a secret Soveity air base resulting in the isolation of Tartu from the rest of the world. Fuel from the aircraft contaminated the land making it unfit for residential development but it has proved to be ideal for the new museum and there are plans to development the surrounding area. This new museum has two permanent exhibitions, space for temporary exhibitions, a conference hall, a cinema, a restaurant and a café. I flew to Tallinn was with Air Baltic via Riga in Latvia. We flew back from Tartu with Finnair via Helsinki in Finland. In the spring of 2017 British Airways will start flying directly to Tallinn. From Tallinn we took the Lux Express bus to Tartu which was a very comfortable journey. I agree, the museum is a great place for kids and adults will find plenty to do there as well.